She was the sultry, stylish and beautiful actress with one of the most seductive and distinctive voices in Hollywood. 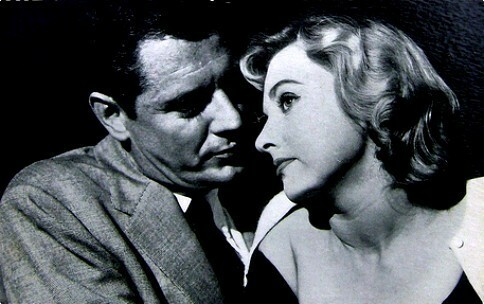 Lola Albright got her big break playing Edie Hart in the 1958 detective series, Peter Gunn. Her role as Edie Hart inspired her to release two albums titled Lola Wants You (1957) and Dreamsville (1959). She earned her secondary role appearances in film and TV shows like ‘The Good Humor Man’, ‘Tulsa, ‘The Man from U.N.C.L.E’ and others. Albright’s exploits during her lifetime were indeed remarkable; here is everything you should know about her. She was born Lola Jean Albright on Sunday, July 20, 1924, in Akron, Ohio. Growing up in Akron, she attended King Grammar School and West High School where she graduated in 1942. Lola’s good looks earned her the nomination for Best Looking Girl in high school. She enjoyed singing from a tender age and would sing in public shows. While she did this she also got herself well acquainted with the piano. At 15 Lola worked for a radio station called WAKR as a receptionist She relocated to Cleveland when she was 18 years to take up a new job as a stenographer for the radio station WTAM. There, she met her first husband Warren Dean. After Lola Albright’s debut radio performance on WJW, Lola relocated to Chicago and became a model for a photographer. She was soon discovered by a talent scout and had to relocate to Hollywood when she was 23 years old. Lola then started out with a minor singing role as fashion house associate in the 1947 film, The Unfinished Dance, followed up by the 1948 films; The Pirate, Easter Parade, Julia Misbehaves, Tulsa, and the noir production film, Champion, where she portrayed Palmer alongside Kirk Douglas. Lola’s debut into television was with the 1951 TV show Lux Video Theatre as Jennifer. She then played Martha Raymond in the 1952 film Arctic Flight. That same year Lola guest appeared in All Star Revue and Tales of Tomorrow. The following year she portrayed Waco, the love interest of Dale Robertson in The Silver Whip, and Nancy Metcalfe in Racket Squad. In 1954 Lola also made guest appearances on TV shows like Fireside Theatre, The Pepsi-Cola Playhouse, Duffy’s Tavern and Adventures of the Falcon. She came back to film in 1955 with The Tender Trap and Treasure of Ruby Hills. From 1955 to 1956 Lola did many shows that brought her to increased notice and fame and they include; The Bob Cummings Shows, Screen Directors Playhouse, It’s a Great Life, Gunsmoke, The People’s Choice and The Red Skelton Hour. Lola Albright was again back to film playing in The Monolith Monsters, Oregon Passage and Pawnee. In 1958 she was in Seven Guns to Mesa as Julie Westcott and got her big break on the TV detective series Peter Gun. Her role character, Edie Hart was the sultry nightclub singer who was in love with Peter Gun played by Craig Stevens. Henry Mancini scored the song and in 114 episodes, Lola sang in 36 of them. She was soon signed to Columbia Records and released her album Lola Wants You in the year 1957. Lola Albright was not the type that was loud about her personal dealings. This must have contributed to the unavailability of reports regarding her financial status. Although she starred in over twenty 1950s secondary roles in films, the actress had no record or review of her net worth. More so, since her death, there have been no reports on her finances. The actress was born to Marion A. (mother), and John Paul Albright, (father). The late singer and actress grew up with her parents and her maternal grandmother Akron. Lola Albright’s father was born in North Dakota while mother born in Ohio, they were gospel singers; this must have been how she got her music traits. Her father later focused on other businesses and started working in a local insulating business as an inspector. Lola’s first husband was radio announcer Warren Dean. They got married in 1944 but divorced n 1949. Lola found love again in her second husband, actor Jack Carson whom she married in 1952. However, the marriage lasted until 1958 before she met Bill Chadney. Lola and Chadney tied the knot in 1961, their union lasted for almost 15 years. The couple went their separate ways in 1975 after their divorce. See Also: Life and Death of Inger Stevens – How Exactly Did She Die? The Emmy award nominee, blonde and blue eye actress was distinctive for her attractive looks. She backed these up too with her 5 ft 7 (1.70m) height and proportional weight of 126 Ibs (57 kg) Her body statistics is recorded as 33-24-35-38. After her retirement, Lola Albright was resident in Toluca Lake, California and stayed alone as she was no longer with any of her spouses. She also did not have any children of her own from any of her three marriages. While in California, the actress and singer had suffered an injury in 2014; she had slipped and fallen accidentally at her home fracturing her spine. It was believed that all she needed was medical attention and treatment for the fracture. However, this accident was what contributed greatly to the deterioration of her health as the years went by. Albright died on March 23, 2017. She was 92 at the time of her death.